Tension-adjustable passive retention system lets you select a level of retention, using a screw-adjustable detent that grabs the pistol trigger guard. 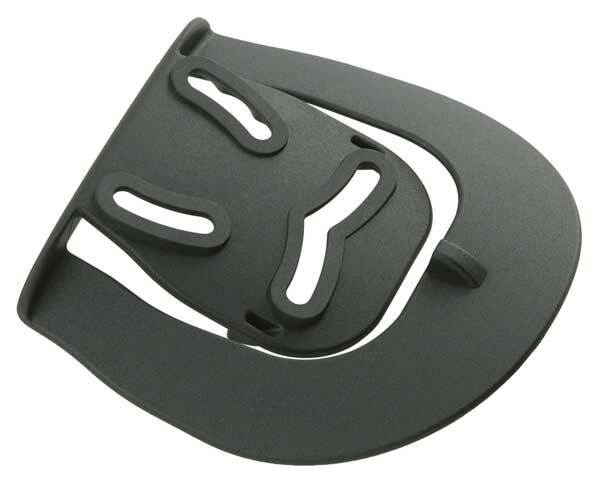 This holster is designed to allow a full grip before drawing the weapon. It also features a speed cut at the front to promote a quick draw and a slight flare at the opening for easy re-holstering. 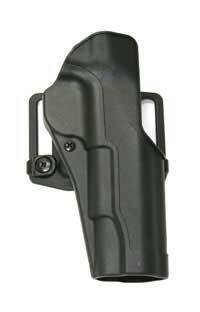 Fully covered trigger guard means added safety. The new Carbon-Fiber composite is lightweight and exceptionally strong, making it the most advanced holster material available. 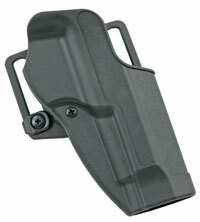 Each holster kit includes interchangeable belt loop and paddle, with easy installation instructions. Black matte finish. Specify (L) Left or (R) Right hand.